First step was to install node.js. Next was to create the obligatory Hello World. 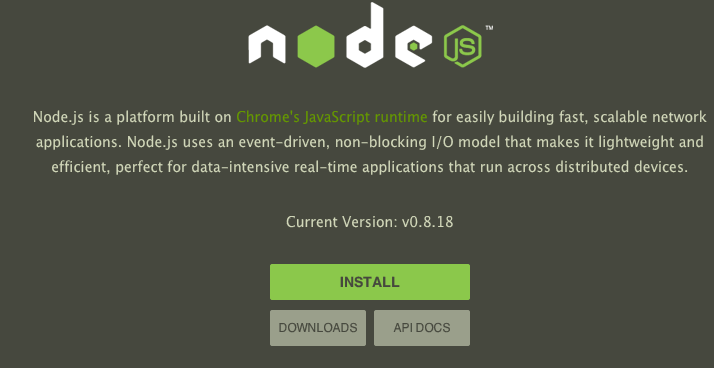 Right on the homepage of the node.js site they provide a short example of this. So, onto more meaty problems. I wanted to delve more into Node.js and build a fully functional application. I had recently created my blog engine (the one that powers this site) in asp.net MVC. As a challenge, I wanted to see how easy it would be to recreate this same blog engine in Node.js. One that allows me to write posts in MarkDown and then have them rendered in HTML in the blog itself. This would allow me to get some practice with Node.js without having to enter unknown ground. If successful, it would also me I could move my blog engine off the proprietary .net stack and open myself up to hosting on cheaper alternatives. For the persistence layer I planned to use MongoDB - a NoSql database which supports a document-oriented structure. It was relatively easy to get MongoDB installed locally and get it up and running. In order to use MongoDB with my Node.js blog application I decided to use the mongojs node package. 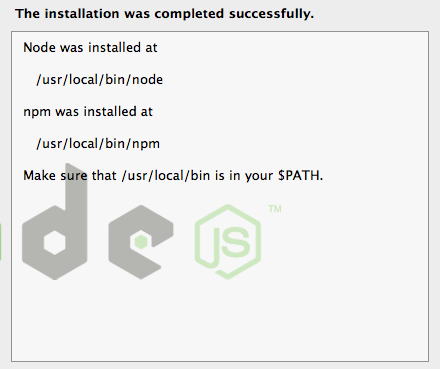 Installing packages to your node.js site is very easy. From the directory of your application, in the command line, run npm <name of package>. This will add the package to your application’s node_modules folder. With mongojs added I now had a nice api to interact with mongodb from my node.js. You will notice the ones with isUser are calling a custom isUser function that returns true or false if a user is logged in or not. For each of my routes I defined 2 controllers: posts.js and user.js. Posts.js handled the functionality of retrieving, adding, updating posts etc., and user.js handled the functionality for user login etc. For my posts I wanted to be able to allow an authorized user to be able to create their post in Markdown and then have the application automatically convert it to HTML. I wanted the post editing page to show, side by side, the Markdown and the generated HTML. In the asp.net version of my site this worked just fine. In order to replicate that in the node.js version I utilized a couple of packages to help with the conversion: showdown. This makes the conversion of Markdown to HTML effortless. 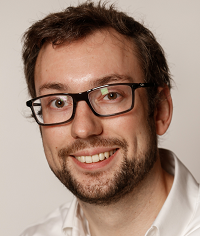 where body is the text input that is in markdown syntax. I decided to do the conversion at the save post time as well as storing the original markdown text versus having to convert to html on the fly each time. In order to render my blog site I was using the node templating engine, jade. It makes the rendering very straightforward, however some of its little nuances take a bit to get used to. I created a layout view and then extended that for a variety of different views. For the homepage I wanted to implement some form of paging so that only a subset of posts were loaded on a visit. This is very straightforward to achieve, especially with the mongojs api. which would return just the right set of posts based on my paging criteria. Overall, my experience so far with Node.js has been great. I hope I get time to explore it more as I have a huge amount to learn. I will be uploading my code for this blog engine to github very soon.